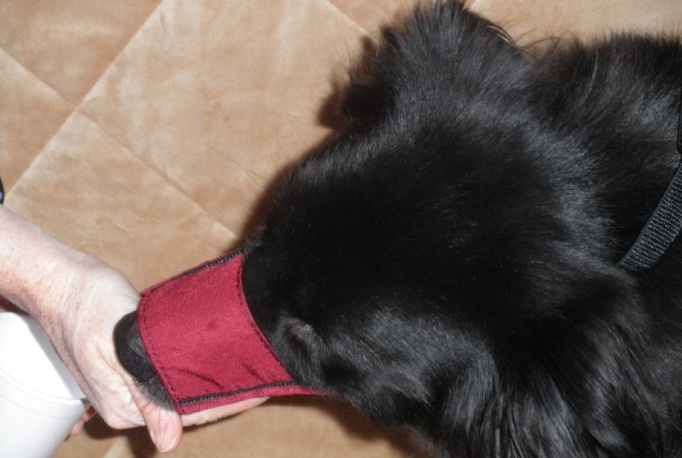 The following training technique can be used to train your dog to wear a nylon or basket muzzle. 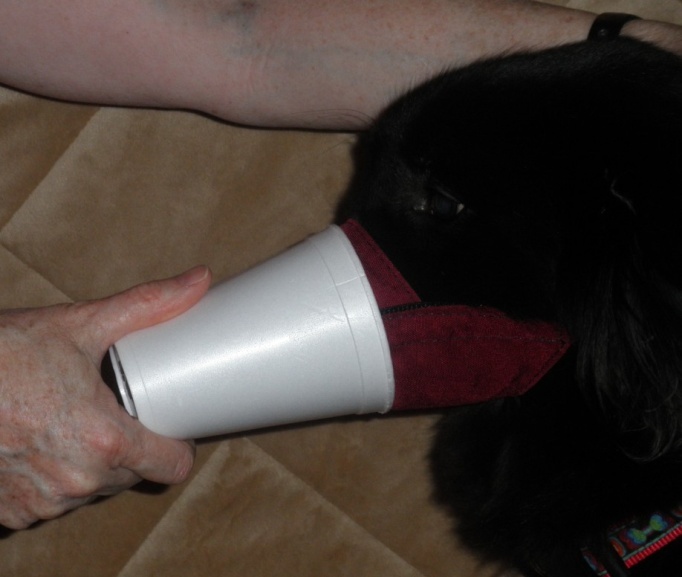 Your dog should think that learning to wear a muzzle is a fun game. 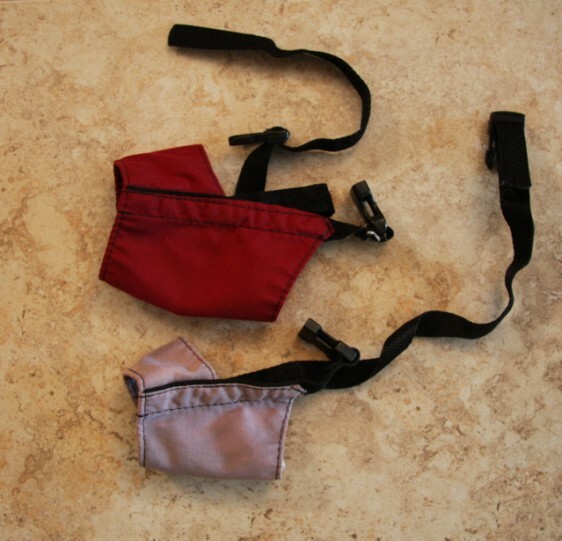 You will know whether you have trained your dog well if he or she looks forward to wearing a muzzle. 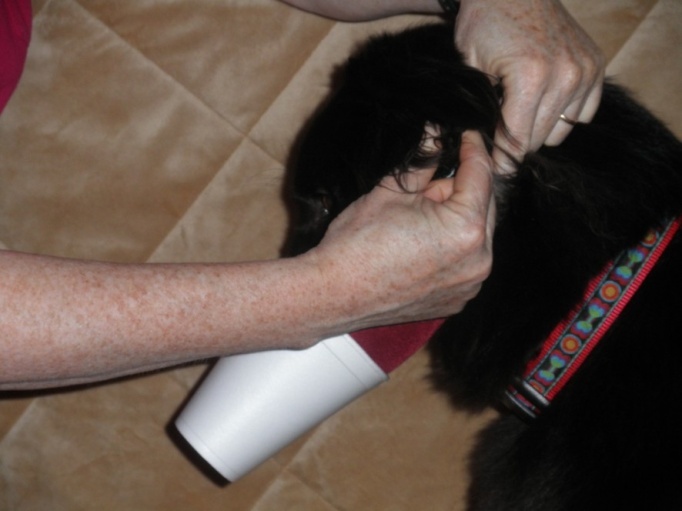 are readily available and are used by many veterinary clinics and groomers. These muzzles are designed to fit snugly. Because they do not allow panting, they are not for long-term use and should be used only for quick procedures.
. 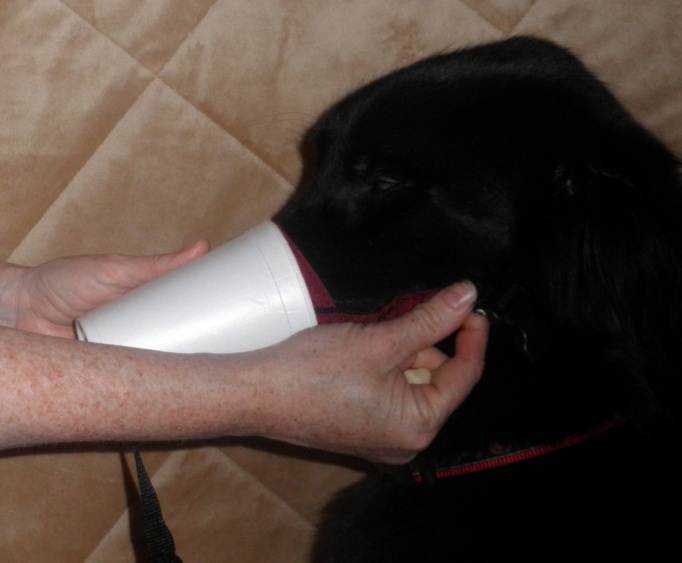 This will teach your dog that sticking his or her nose in a small space can be rewarding. 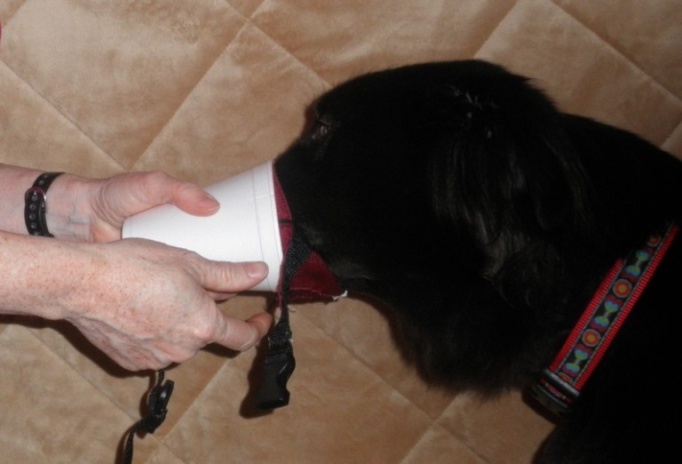 You can also feed your dog small meals from the cup. 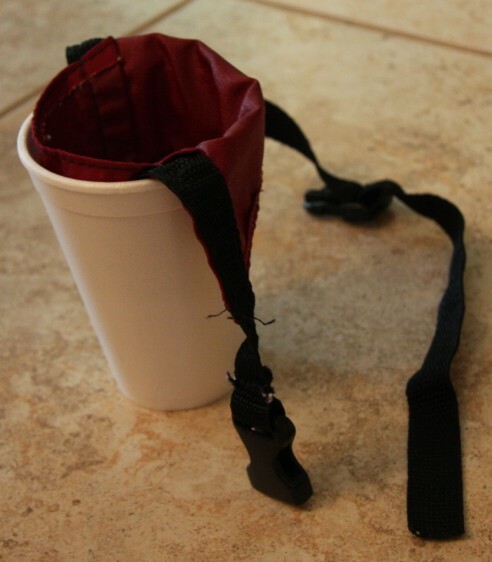 To help you and your dog proceed quickly and easily through the training session, you can prepare several cups with your dog’s meal divided among them. 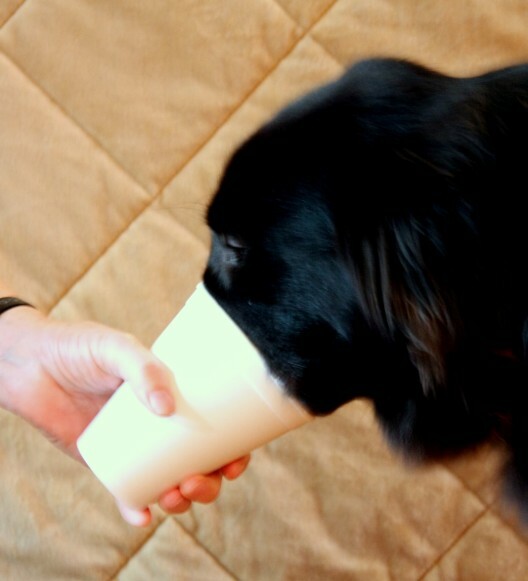 The cup should be short enough that your dog can reach the treats. If your dog has a short snout, you can cut the cup to make it shorter so that your dog’s tongue can reach the treats or food. 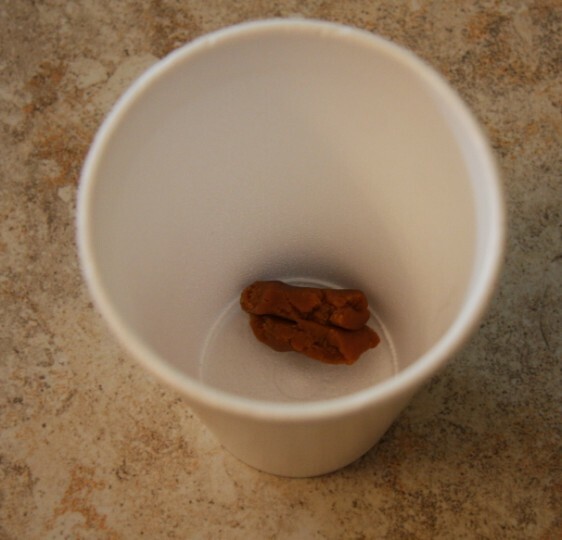 Be sure to remove sharp edges from the cup and avoid contacting your dog’s eyes with the cup.
. If at any time your dog struggles or backs away, stop and repeat the previous step. 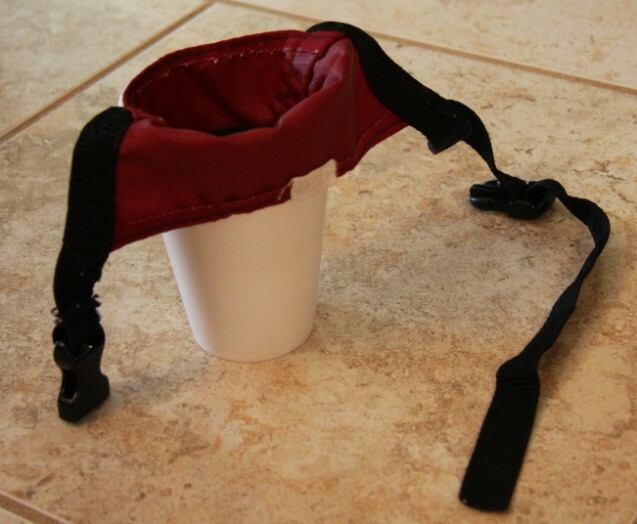 while your dog is wearing the muzzle. to your dog. 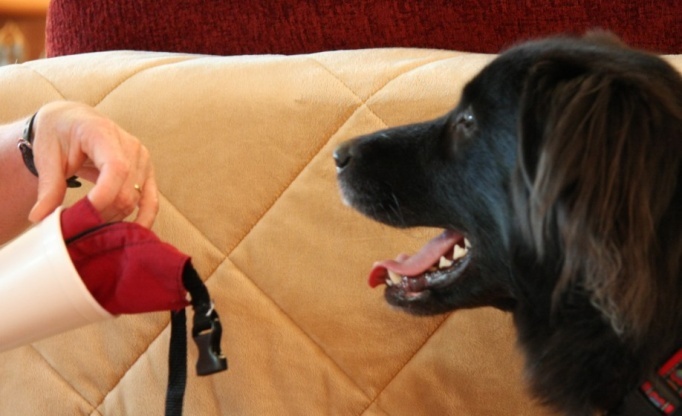 While your dog is distracted by eating the treat(s), remove the muzzle.